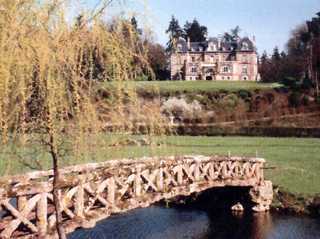 Historical chateau, nestled in a preserved site, in the heart of a loop of the Loir river. About 1 hour in the Western South from Paris and half an hour from Chartres. Hirings of houses entirely equipped and reception rooms.